In this photo illustration, a container of Johnson's baby powder made by Johnson and Johnson sits on a table on July 13, 2018, in San Francisco, California. 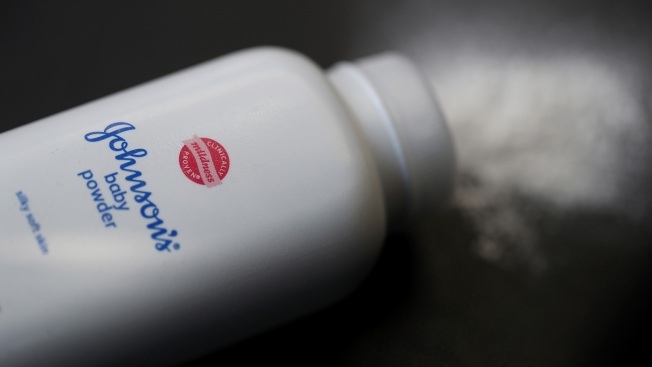 A California jury has ordered pharmaceutical company Johnson and Johnson to pay $29 Million in damages to a woman who claimed that she got terminal cancer from Johnson's baby powder. Johnson & Johnson must pay $29 million to a woman who claimed its baby powder gave her terminal cancer, a California jury ruled Wednesday. A Superior Court jury in Oakland found the world's largest health care company mainly liable for Teresa Leavitt's mesothelioma. The verdict said that the baby powder was a "substantial contributing factor" in her illness. Her suit is one of many that link cancers to asbestos in Johnson & Johnson's talc-based products and contend that the company concealed the health risk for decades. Requests for comment from the New Jersey-based comment were not immediately answered. 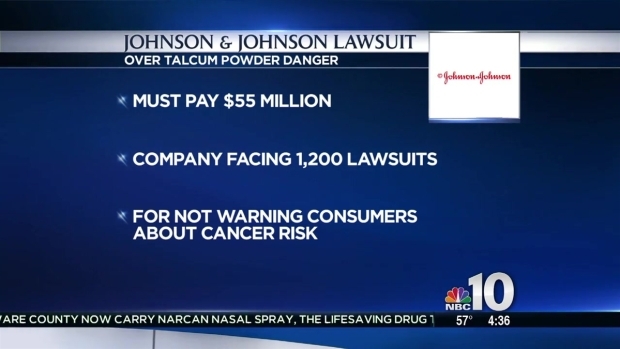 A woman blames Johnson & Johnson's talcum powder for her ovarian cancer. Johnson & Johnson is facing some 13,000 similar lawsuits around the country. The company has insisted that its talc-based products are demonstrably safe but it has lost a string of court cases. Last year, a Los Angeles jury awarded $25.7 million to a woman who blamed her cancer on the powder. A jury in Missouri last year awarded $4.69 million to 22 women. Johnson & Johnson's stock price dropped nearly 2 percent after hours on Wednesday before recovering to close at $139.41.